‘I am loved’ is an exciting new album written especially for children and children’s ministry programs. A collection of 10 exciting songs that speak of love, celebration, reflection, prayer and even meditation. Available now at my music store and iTunes. ‘I am Loved’ is a valuable asset to any children’s program or family that wish to ensure their child knows that they are loved unconditionally. 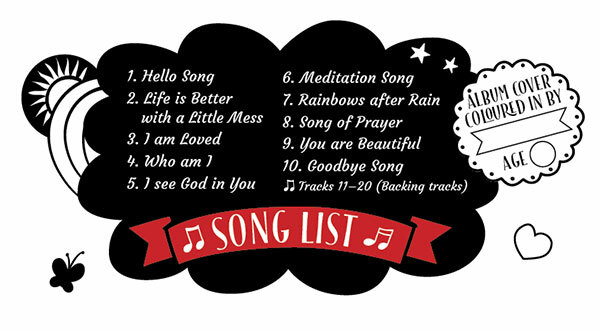 ‘I Am Loved’ comes complete with backing tracks for each song so that you can sing along yourself. The lyrics book and music notations will also be available for download. Upon moving to Newcastle NSW, in 2013, Heather and her family began attending ‘Messy Church’ at Adamstown Uniting Church. Heather loved seeing her children become part of such a loving community and was inspired to write songs reflecting what she saw there. Songs about unconditional love, community, friendship, acceptance and fun! As word of these songs spread, Heather was invited to showcase them at the National Messy Church Conference (in February 2016) and the International Messy Church Conference (taking place in the UK in May 2016). After a successful Pozible crowd-funding campaign in April 2016 the ‘I Am Loved’ CD was pressed and launched on the 7th May 2016 at Adamstown Uniting Church in Newcastle NSW. Heather is available to perform these songs at churches, Sunday schools, special events, conferences and festivals. Please contact her through this website with details about the event, and Heather will do her best to be there. There is a standard performance fee for events less than three hours and a day fee.